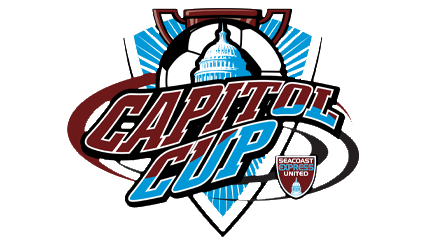 Tournament headquarters and all matches will be played at the Seacoast Express United Field Complex at New Hampshire Technical Institute (NHTI), 31 College Drive, Concord, NH. Basic refreshments (cold drinks, coffee, and snacks) will be available for sale at the tournament site. All field maps and schedules are available at your fingertips by downloading the Seacoast United Tournaments App! Click here for Google Map. This location is approximately 2 minutes from Concord Memorial Fields, 12-15 minutes from the Old Concord Rd Complex, and approximately 20 minutes from the Derryfield School. Click here for Google Map. This location is approximately 10-15 minutes from the NHTI Campus (Tournament Headquarters), and 20-25 minutes from the Derryfield School. Click here for Google Map. This location is approximately 30 minutes from the NHTI campus (Tournament Headquarters). Click here for Google Map. This location is approximately 10-15 minutes from the NHTI Campus (Tournament Headquarters), and 20-25 minutes from the Derryfield School. It is located directly across the street from the fields at Concord Memorial. Click here for Google Map. Burch Field and the Tilton School Athletic Complex are located roughly 1.5 miles from each other, and 30-35 minutes from both Pembroke Academy and the Derryfield School.